Historical fact: Main Street in Medina, New York is designated a Historic District on the National Register of Historic Places. 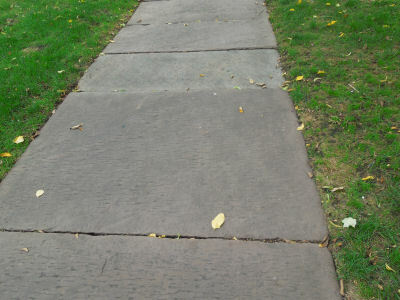 Graceful Medina Sandstone sidewalks lined the streets of upstate NY at the beginning of the 20th century. These beautifully worn slabs can be used for restoration as well as creating something new from something old. Their color and surface are varied producing a very organic finished project.